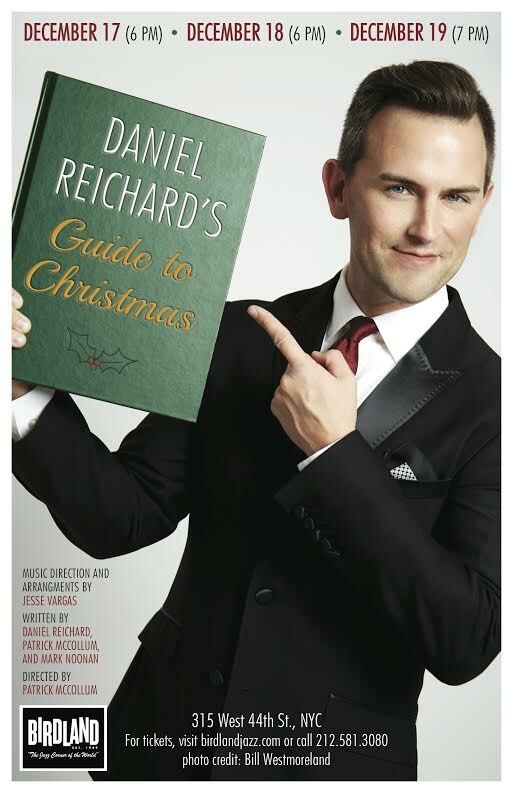 Daniel Reichard (@DanielReichard) Performs Annual Holiday Show in San Francisco, NYC, and Cleveland in December! Exciting news this holiday season! Daniel Reichard, who created the role of Bob Gaudio in the Original Broadway Cast of JERSEY BOYS, will bring his annual holiday show to three cities this December. First, he will play Feinstein’s at the Nikko on December 11th at 7 PM (www.feinsteinsatthenikko.com). Then, he will play three consecutive nights at the world-famous Birdland Jazz Club in New York City on December 17th at 6 PM, December 18th at 6 PM, and December 19th at 7 PM (www.birdlandjazz.com). Finally, he will return to his hometown of Cleveland, Ohio, on December 22nd and 23rd at 7:30 PM at the Music Box Supper Club (www.musicboxcle.com). The show will feature lively versions of iconic holiday classics, Hanukkah favorites, and treasures from the Great American Songbook. Will c u in NYC …our traditional treck to NYC to c u!! Looking forward to a fun nite!